August 1944. A team of British soldiers led by a US Captain are dropped behind enemy lines in France on a mission that could shorten the war. As nothing goes according to plan, commando Sgt. Harry McBain and Cpt. Gabriel Jackson know they must put aside personal animosity if the mission is to succeed. 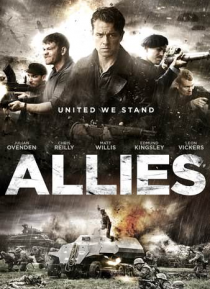 Inspired by true events, Allies tells the story of friendship and survival.